The Tech Garden recently held its first “Innovation in Your Industry” series, which highlights a company whose innovation can benefit companies and their customers. 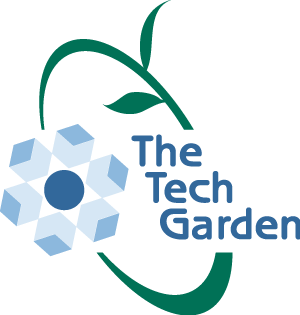 This series offers early access to the newest technologies being created at The Tech Garden. Participants learned about Cortland Research’s POUNCE® system, a new occupancy-based energy saving technology that reduces energy bills, improves maintenance costs, maintains comfort and meets new energy code requirements. POUNCE is installed at The Tech Garden where it monitors real time use, people activity, temperatures, power use and controls lighting, plug loads, as well as heating, cooling and ventilation. Other clients include SUNY Cortland, OCM BOCES, Onondaga Community College and Corning. The company is in the go-to-market phase and looking for customers. Learn more at www.pouncesystems.com. The next “Innovation in Your Industry” event is July 25 and will feature Imajion, a mixed-reality company bringing the construction industry to new heights with its cutting-edge platform. Learn more at www.thetechgarden.com/events. CenterState CEO’s new Technology Commercialization (TC) Fund can match private investment up to $100,000 in a pre-seed, emerging tech company. Companies located in the Southern Tier, Central New York, Mohawk Valley or North Country regions are eligible. Local companies that have received funding from the TC Fund include: Pelitex; Tuzag; recombiPure; RepHike; Imajion; and Orthofit. For more information, contact Traci Geisler, The Tech Garden resource manager, at tgeisler@thetechgarden.com. Join GENIUS NY and The Tech Garden for the second annual Drones Over Downtown 4 to 7 p.m. Wednesday, August 8. Network with more than 30 unmanned aerial systems (UAS) businesses in the community, have a chance to fly a drone, watch live demos and enter to win a quadcopter drone! Meet the GENIUS NY teams and learn more about the growing UAS ecosystem in Central New York and the Mohawk Valley. To register for the free event visit www.centerstateceo.com/events. Remember The Tech Garden Fibertech Networks Theater for your next business meeting, social event or workshop. Contact tgadmin@thetechgarden.com for more information. Visit www.TheTechGarden.com for more information or www.meetup.com/Syracuse-Tech-Meetup for upcoming events.